My parents and sister visited and the day they arrived was my sister’s 30th birthday. That called for a cake. I’ve previously written about a few amazing chocolate cakes I’ve made. But I wanted to make something a bit different. 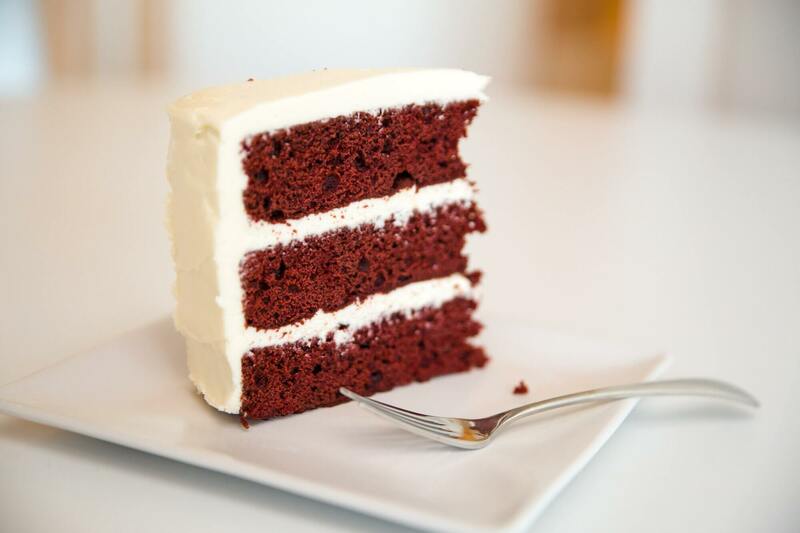 But I do appreciate red velvet cakes because of the tangy cream cheese icing, which doesn’t have the same sugary heaviness of sweet cake icings. Even compared to a delicious chocolate ganache icing, it feels surprisingly light. The only problem… we had Indian takeout for dinner, so we were too full to have dessert. But that just meant we got to have cake for breakfast the next day! Even better!